On p. 72 there is a German post card, a mosaic, a Hollywood promotion drawing for Ninotschka; they all date from the 1930‘s. 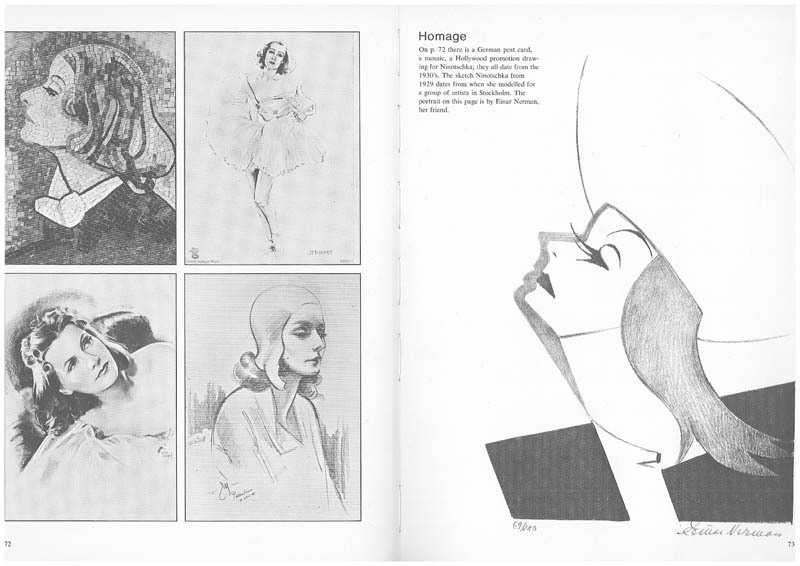 The sketch Ninotschka from 1929 dates from when she modelled for a group of artists in Stockholm. The portrait on this page is by Einar Nerman, her friend.